“Keystone XL will not lessen U.S. dependence on foreign oil, but rather transport Canadian oil to American refineries for export to overseas markets,” concludes the report, titled “Exporting Energy Security“. Because Keystone XL crosses national borders, President Barack Obama has to issue a permit declaring the pipeline serves the “national interest” in order to be approved. “The only way Keystone XL could be considered in the national interest is if you equate that with profits for the oil industry,” said Kretzman, who wrote the report. 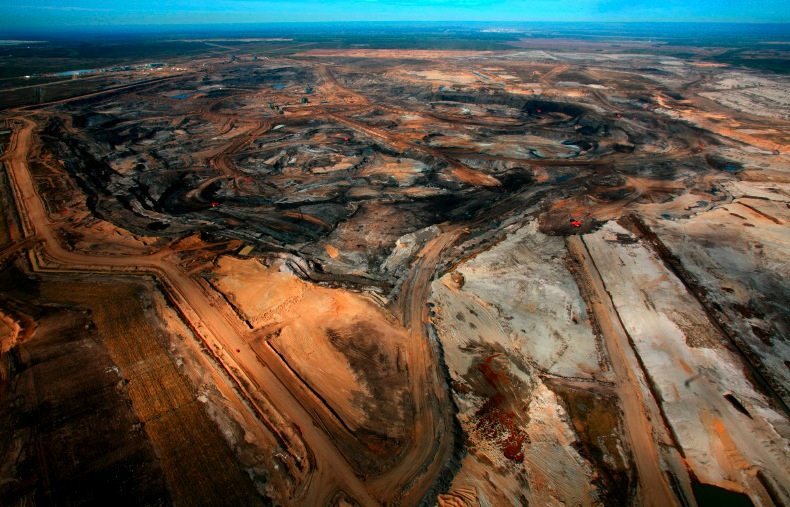 Canada’s huge tar sands deposits, located mainly in the far north of the province of Alberta, are the world’s second largest oil reserves, but they are landlocked. It’s the industry’s biggest worry and also Alberta Energy Minister Ron Lieper’s biggest concern. Lieper recently said that without new pipelines “our greatest risk in Alberta is that by 2020 we will be landlocked in bitumen”. Bitumen is thick tarry oil from the tar sands that needs lots of high-energy and chemical processing to be useable – one reason it’s widely considered the world’s dirtiest oil. The shortest route to the big Asian markets is through the Rocky Mountains to Canada’s west coast via the proposed Northern Gateway pipeline. However, Canadian native people live on some of the land and are staunchly opposed, so the industry thought it would be easier to put an export pipeline right through the U.S. heartland, said Kretzman. “The oil industry would have done the Northern Gateway first but gambled that resistance to the pipeline would be far weaker in the mid-west,” he told IPS. 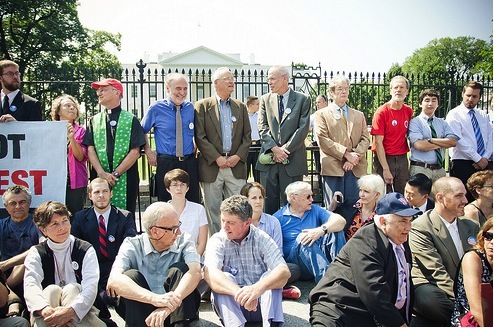 Thousands of people, including landowners and religious leaders, have gone to Washington DC in the past two weeks to tell President Obama to reject Keystone. Nearly 850 people have been arrested for standing on the sidewalk in front of the White House in what protesters call the largest civil disobedience in the history of the U.S. climate movement. “It’s remarkable, a very dignified and moving protest much like the civil rights demonstrations in the 1960s,” said Maude Barlow, chairperson of the Council of Canadians, a large environmental NGO. “This is about the rights of the environment and future generations. It is the blossoming of a new movement,” Barlow told IPS from Washington. Infrastructure dictates policy, she stressed. Once pipelines, refineries or power plants are built, it is nearly impossible for governments to shut them down. Last year, scientists writing in the journal Science concluded there is already enough fossil fuel burning capacity to raise global temperatures by 1.5 degrees C by 2060. Any additional power plants, vehicles, or other fossil fuel burning equipment built from 2011 onward puts humanity at ever greater risk of catastrophic climate change. 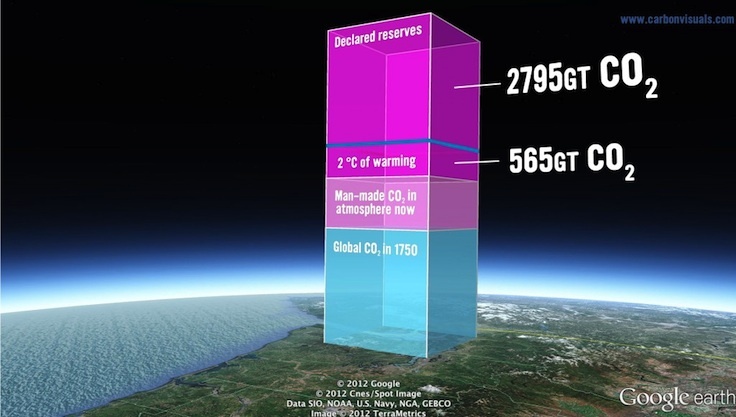 “We conclude that sources of the most threatening emissions have yet to built,” the scientists wrote. The Obama administration knows this but the powerful oil lobby can use its unlimited funds to attack Democratic officials during the next election cycle if they don’t approve the pipeline, says Kretzman. Changes to U.S. law in 2010 allow corporations to spend as much as they want on elections, and there is no sector with more money than the oil industry. “That scares the hell out of the Obama administration,” he said. It’s never been clearer that corporations wield the real power in the United States and Canada, activists say. “This is the beginning of a very big fight for the future,” Barlow told IPS. Originally published as U.S. Awash in Oil and Lies, Report Charges – IPS ipsnews.net. Damning article. Thanks for reposting, especially in the run-up to the Feb 17th day of action at the White House. The link to the Oil Change report doesn’t seem to work, however – could you please check the link?